All Colorado drivers must have a clean driving record if they wish to drive legally on state roads. To keep driving records clean, teen drivers must first learn more about the official rules of the road and the penalties for not obeying these rules according to Colorado traffic laws. To help guide teen drivers in achieving a clean driving record, let’s take a look at the Colorado point system. 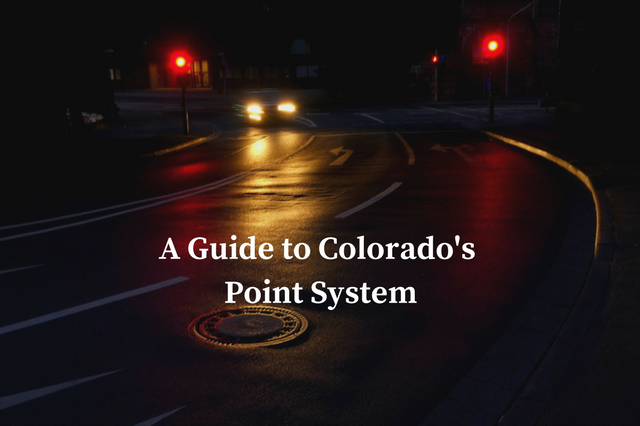 Colorado’s points system is used to punish those convicted of some different driving infractions. Any traffic violation committed adds points to a driver’s driving record, and if multiple driving violations are incurred, a driver’s license can be suspended. The punishments under the points system differ based on the age of the driver. Teen drivers rely upon tips from experts for minimizing their potential for committing infractions. The following are examples of serious driving infractions and their penalties under Colorado law. In addition to having their license suspended and incurring points, teen drivers may also have to attend a mandatory defensive driving course as part of their punishment for a driving infraction. Those who are convicted of driving while intoxicated or reckless driving will often be forced to attend classes to learn more on the rules of the road, and how their driving actions can impact others. By learning more about the latest rules under the point system in Colorado, local teen drivers can learn the value of safe driving and its benefits for society as a whole. To discuss this subject with a local specialist, speak with our experts!